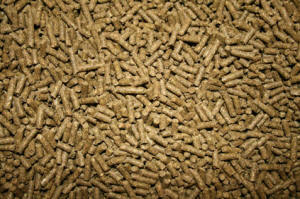 There are many rabbit feeds available and its important that you choose a food that's best for your rabbit, we advise you not to choose the cheapest food in the supermaket but at the same time you don't need to buy the most expensive that a pet store has to offer, Check the ingredients on the back, the higher the fibre content the better. If you are local to Stafford or Stoke we can provide you with contact details of places that you can buy affordable but good quality feed and bedding. 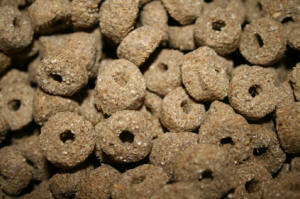 A complete nugget or pellet food is better for your rabbit as not only do they have added vitamins, minerals and pro-biotics added to them they also prevent selective feeding which means your rabbit is getting the nutrients that it needs and also no waste. 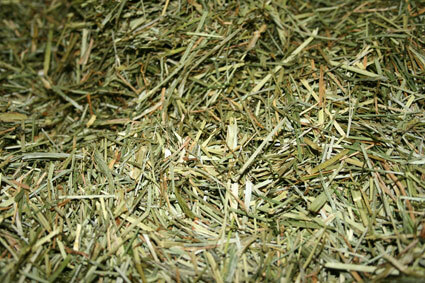 Our rabbits are fed once in the morning and once in the evening and always have a fresh supply of hay and water. Hay is the most important part of your rabbits food and should make up 80% of their diet, due to their continuous moving gut and continuously growing teeth eating hay is vital. 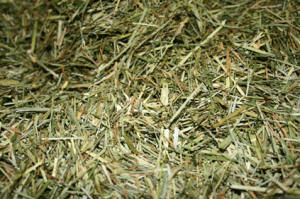 Hay is relevantly cheap and can be brought direct from farms or equestrian feed stores for around £5 for a large bale. Hay is also available in lots of different mixes and flavours from pet shops and the internet so if your rabbit is not eating enough it's worth trying another variety. These are extruded pellets, and are high in fibre and have pro-biotics to make sure our rabbits get everything they need to keep them healthy. We add some Readi Grass, its high in important vitamins and minerals, its flash dried when cut keeping the green colour and vitamins locked in. As an extra treat we occasionaly also feed our rabbits Barley rings (yes another horse feed!). 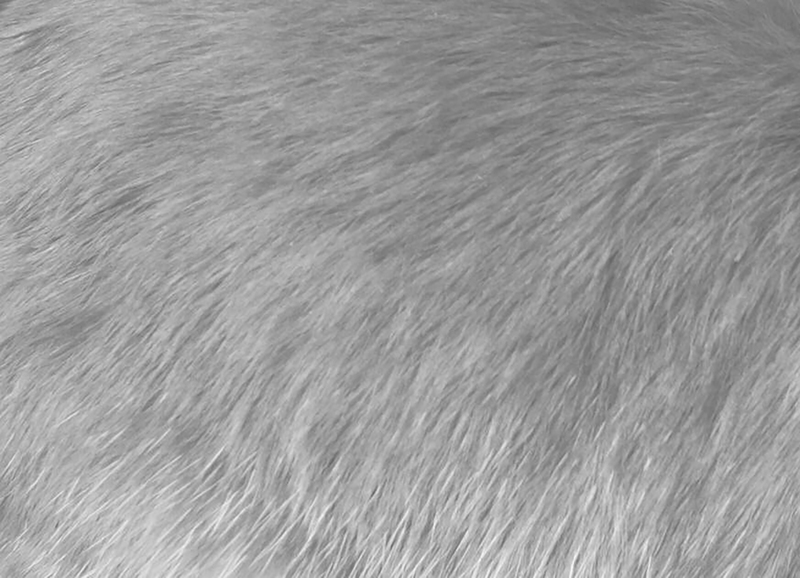 This is a treat used in place of expensive treats from pet stores, as these treats normally contain added fats that your rabbit does not need. We give our rabbits 3 or 4 at a time, once or twice a week. 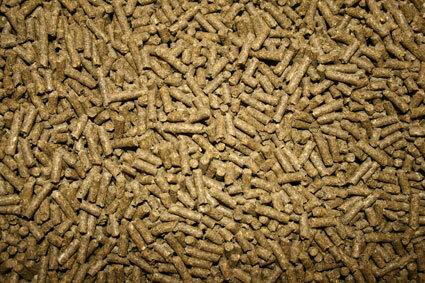 These are great in the winter as they contain linseed oil that is great for a bunnies coat. These are also great for threading onto string and making your own treat toys to keep your bunny happy and active. 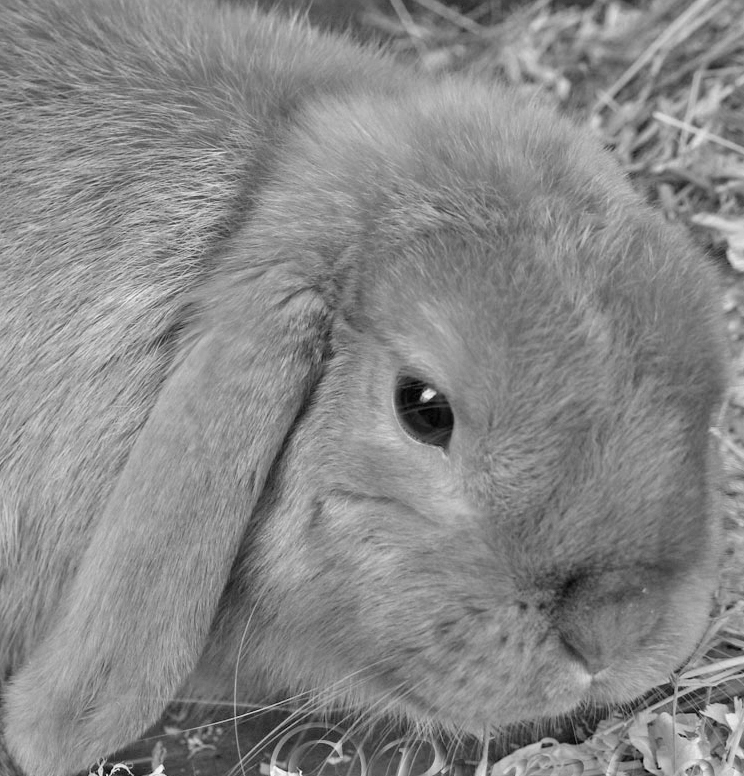 There are many other treats that you can and cant give to your rabbit we will provide more details on the care sheet that we provide with your rabbit.